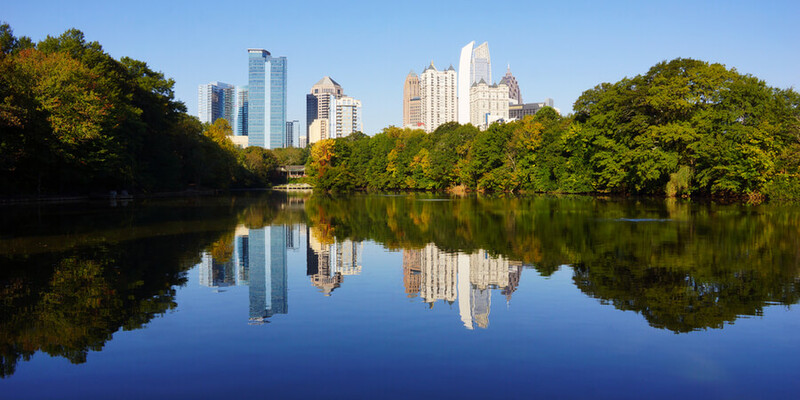 St. Jude’s Recovery Center is located in Atlanta, Georgia and provides treatment for substance abuse as well as co-occurring mental disorders. Serving Metro Atlanta, St. Jude’s treats over 1500 individual clients every year and has been doing so for over 50 years since its establishment in 1962. Jude’s Recovery Center is nestled in the midst of a natural setting that offers a calm ambiance and lovely views. The relaxed atmosphere provides a peaceful and quiet environment that allows patients to recover at their own pace. This facility was an initiative that came to fruition in 1962, through the collaborative efforts of various city leaders and agencies seeking to combat chronic alcoholism. The facility provides specialized treatment programs aimed at addiction rehabilitation and combating behavioral health disorders. These programs are devised by a highly trained and qualified team of personnel including physicians, and nurses, who work tirelessly to help the residents to the best of their abilities. Their efforts are evidenced by St. Jude’s high success rate of recovered patients. The campus-style premises at St. Jude’s Recovery Center, provides housing to its residents in the form of three separate towers. Each residential tower is separately assigned to men, women, and women with children, respectively. While the residential halls are gender-specific and provide separate living quarters to men and women, the cafeteria and campus allow ample opportunity for communal socializing. All the residential halls consist of rooms that are furnished with twin-sized bed, closets, bedside desks with drawers for storage, chairs, along with other furnishings such as, curtains, carpets, etc. Air conditioners and heaters are also provided in all living quarters. Bathrooms are shared between the residents of two neighboring rooms. The residential quarters for men has a capacity for housing 49 residents at a time while the one for women has a capacity for hosting 16 residents. The separate Family Care Center can house 22 female residents in private rooms that are furnished with cribs or other furniture that accompanying children may need. All necessary toiletries such as towels, linens, etc. are also provided. Meals are provided in a cafeteria-style mess hall that serves both cold and hot food three times a day. The cafeteria serves a variety of ethnic cuisines including Mexican, Asian, and Italian. Special care is taken to ensure that the dietary requirements of all the residents are also accommodated. St. Jude’s Recovery Center works to treat addiction related issues and co-occurring mental health disorders. Special attention is devoted to the rehabilitation and reintegration of the clients into society. Their Family Services program as well as the Family Care Center is devised to enable the clients to get the best support from their families during the recovery process. The facility provides both inpatient and outpatient services. The standard outpatient program provides a comparatively less structured treatment plan for both men and women seeking addiction rehabilitation and mental health treatment. This allows working patients to continue their work and family obligations while recovering. Their Detox process usually lasts from 16-20 days after which the recovering men and women are transferred to the inpatient program. There they are provided with 24×7 monitoring to prevent further relapse. The clients are also provided with counseling to inculcate interview skills and job readiness so as to better enable their integration into society. Ms. Suzanne Shaffer has been associated with St. Jude’s Recovery Center since 1989 and has served as the president and CEO at the Center since 2012. She completed her Master of Science in Healthcare Administration from the University of St. Francis and has a Bachelor of Science in Human Resources/Direct Services from Mercer University. Ms. Sue Wiggin holds a Master of Science degree in Health Care Administration from the University of St. Francis and a Bachelor of Science degree in Business with a concentration in Marketing Management from Miami University. She has been associated with this facility for over 24 years and is in charge of overseeing the financial policies of St. Jude. Rusty Gray has been a Licensed Professional Counselor for 20 years and has worked extensively in various supervisory roles at different clinics for the past 25 years. She assumed the role of Vice President of Clinical Services at St. Jude’s in 2012. She has a Master’s Degree in Psychology from the University of West Georgia and a Bachelor of Arts in Psychology from the University of West Georgia.